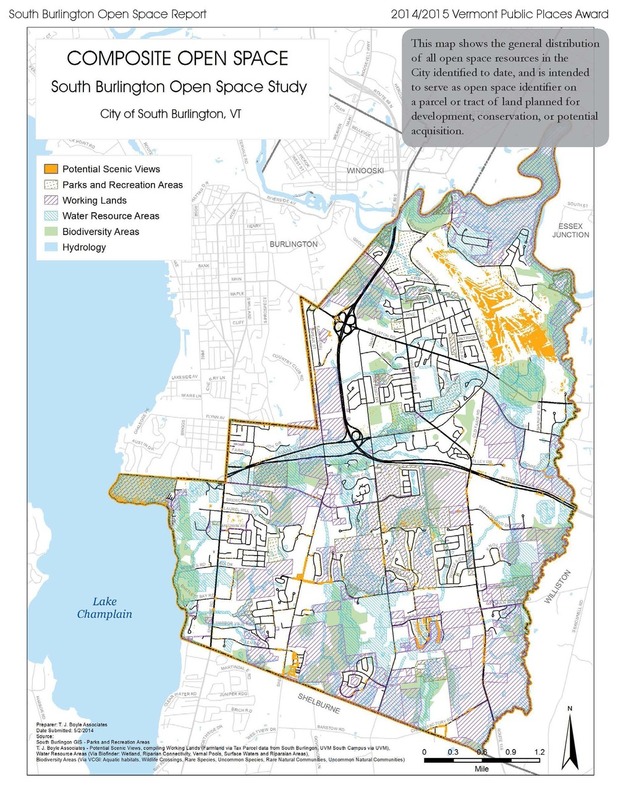 T.J. Boyle Associates performed a study for the City of South Burlington to provide guidance to the City Council, Planning Commission and the Natural Resource Committee in identifying existing open space and their attributes and to develop a strategy for prioritizing additional open space for conservation, protection and acquisition. 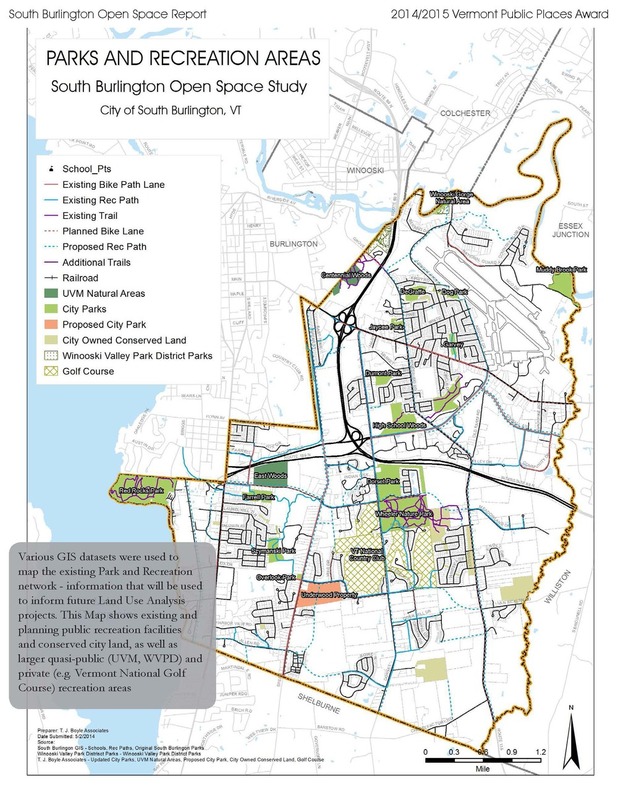 The project evolved from a vision to create a system of lands that protects the natural resources and wildlife habitats/corridors and conserves the working landscape of South Burlington. T. J. Boyle Associates provided all GIS mapping for the project including the utilization of existing data and creation of all new data. 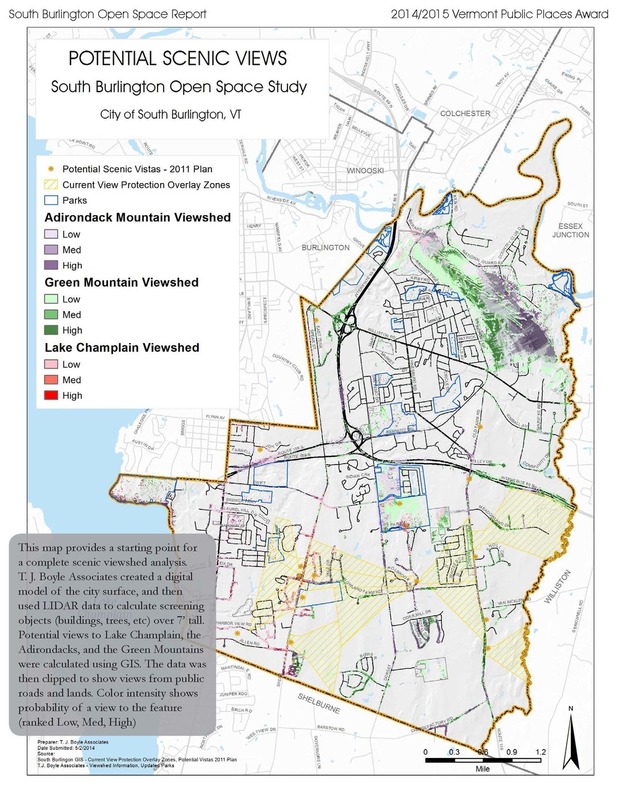 This study won the 2002 Vermont Public Space Award sponsored by VTASLA, AIA, VPA & ASCE.